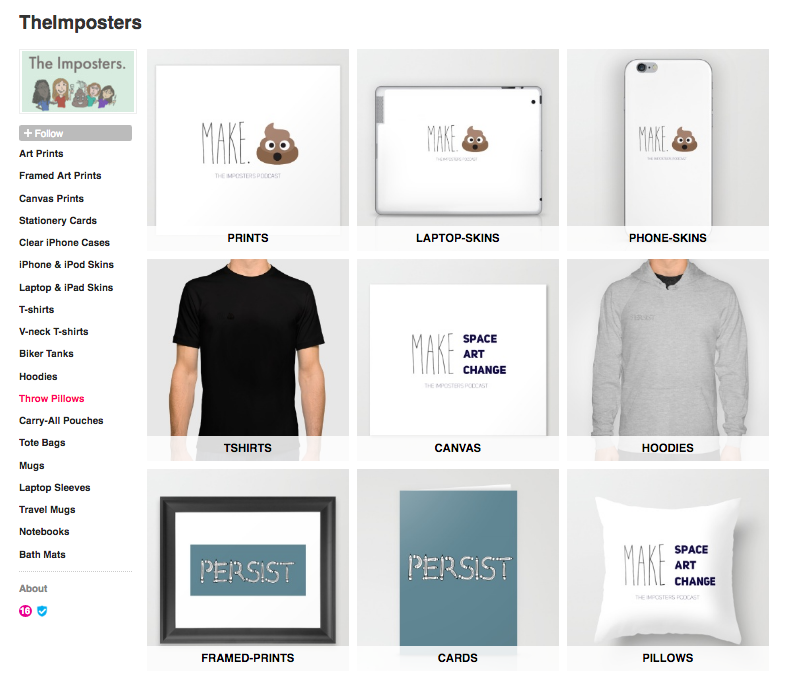 There's something for everyone here-- notebooks, t-shirts, hoodies, laptop skins and more! We may have bought ourselves too many hoodies, but least we look cute, right? BONUS: When you buy an Imposters Podcast branded product, proceeds go to great causes like the ACLU, NILC, and Planned Parenthood.